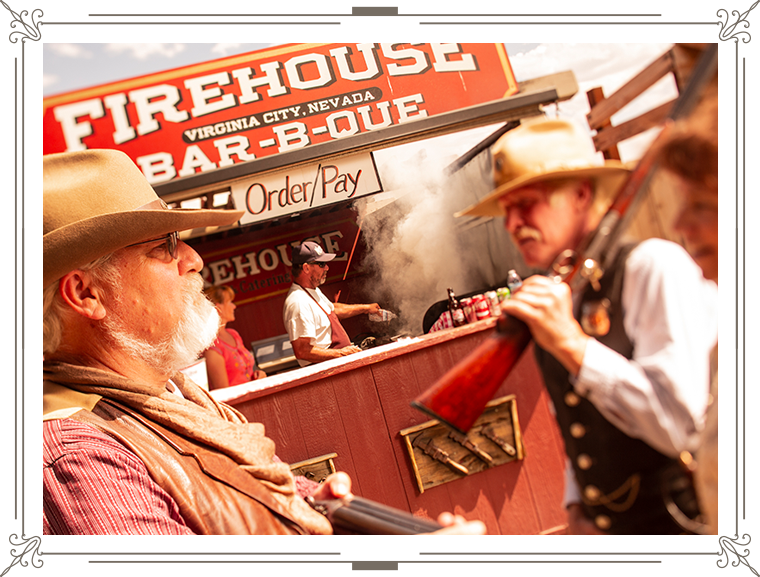 There’s a lot of things that Virginia City is known for. One is surely our pretense for a fine Bloody Mary nicely paired with a good meal. Guess you could say it’s in our roots. Travel and good food go hand in hand. In Virginia City, we are small but mighty. Hot dogs to fine dining and pizza to Tex-Mex are designed to satisfy. And for those with a sweet tooth, two words – Grandma’s Fudge. Back in the day C Street was lined with saloons, numbering 100 in fact. While that’s not the case now, our establishments happily welcome visitors with specialty concoctions, such as the Bloody Mucker, or the standards with a hardy pour. You could say we know a thing or two about spirits of the ghostly and drinking variety. In fact, we have a hometown distilled spirit that’s worthy of the miners that once graced these hills. Cemetery Gin rises to its motto – guaranteed to embalm you while you’re still breathing – with its local estate distilled ingredients including local pine nuts.